You may have noticed the new lamp next to the love seat as shown in the previous post. 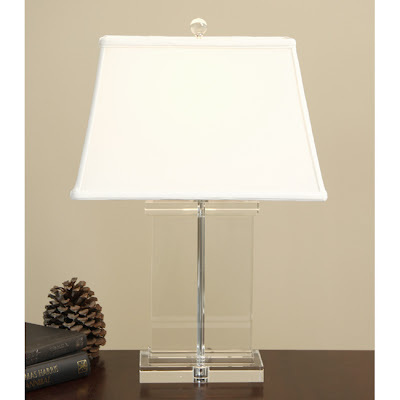 It was an overstock.com purchase and cost a fraction of the price of the similar Restoration Hardware crystal lamp. You and your mother have excellent taste. Love the "lighter" look - so much fresher. Says alot about your personalities. Please share more of your decorating ideas. 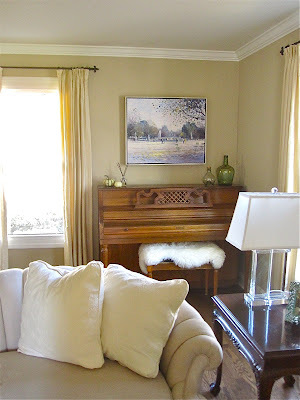 LOOOVE this makeover- it shows that a tweak here and there make a huge difference in a room. Love the reframed art! And that new lampshade totally updated that corner from 80's to 2009! Ever think about home staging? I have been waiting for this post to be posted. 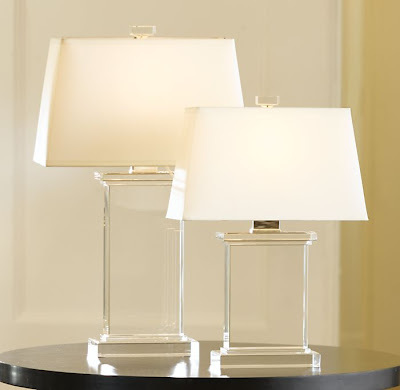 I really want to see those lamps because I am very interested to have them.